Bedale 1st XI v Newton Aycliffe 1st XI – weather was windy and sunny. Bedale won the toss and chose to bat first. 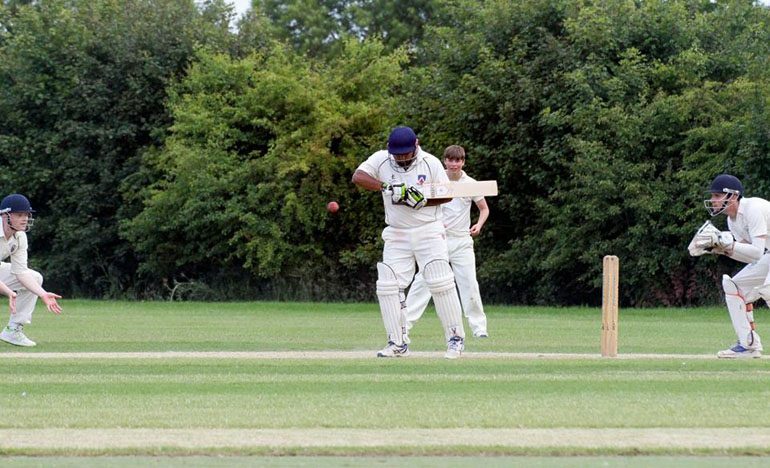 Newton Aycliffe’s first team got back to winning ways with an emphatic six-wicket win away at Bedale first team. Michael Howe (sponsored by Yvonne & Bob Wood) was given the man-of-the-match award after some superb bowling gave him his season’s best figures of 5 for 26 from 10.4 overs. Jack Slatcher equally deserves credit as he also produced his season’s best bowling finishing with 5 for 30 from 11 overs. Newton Aycliffe 2nd XI v Bedale 2nd XI – weather was windy and cloudy. Bedale won the toss and chose to bat first. Aycliffe’s young second team made it a club double when they emulated the first team with a comprehensive win at home to Bedale second team by five wickets. Lewis Gimple (pictured above) was given the man-of-the-match award for an excellent all-round display with three wickets in the Bedale innings and he then carried his bat for a well-timed unbeaten 54 from 85 balls, including ten boundaries.